It would seem that this name is locally understood to mean 'mountain above the wind', but as wind speeds tend only to increase the more height one gains, one has to ask what this could possibly mean. Another possibility is that gaoth is rather an archaic word for a water feature (possibly Lough Gill or the estuary of the nearby Owenmore River), and that the name was no longer understood once this word had fallen out of common use in Irish. For further information on the name Beenoskee, see Paul Tempan, Some Notes on the Names of Six Kerry Mountains, JKAHS, ser. 2, vol. v (2005), 5-19. 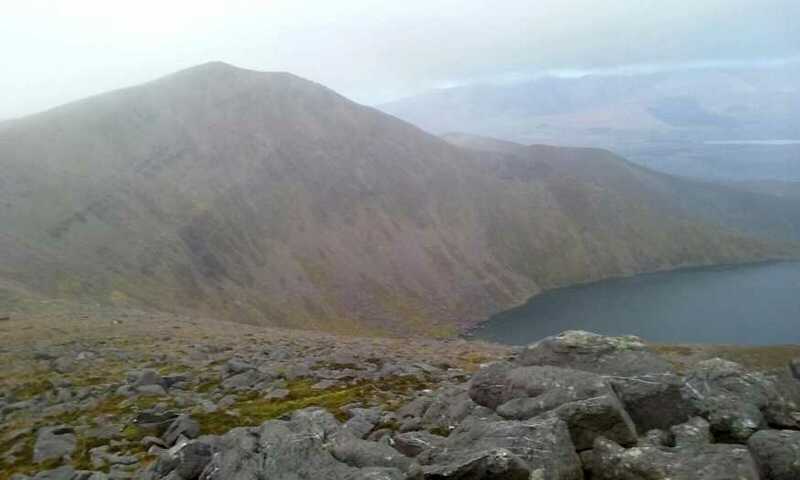 Beenoskee is the highest mountain in the Central Dingle area and the 29th highest in Ireland.